You are here: Home » Blog » Blog » Disney Attractions » Disney Skyliner Gondolas Spotted Testing at Walt Disney World! New Mode of Disney Transportation! Disney Skyliner Gondolas Spotted Testing at Walt Disney World! New Mode of Disney Transportation! Now that we are in 2019 we can officially say that we will be riding onboard the Disney Skyliner Gondolas THIS YEAR! This brand-new mode of Disney transportation looks so fun! 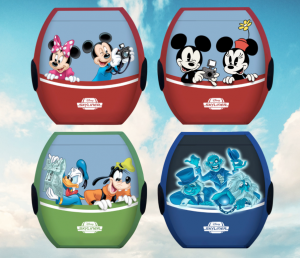 I am personally so excited to experience a birds-eye view of Disney property while riding in these Disney gondola cars! Another great benefit that this new Disney transportation system will give us is convenience and a shorter travel time! Everyone knows that the Disney busses can get crammed on busy parks days. Now that the Skyliner system will be servicing multiple Disney Resorts, we can anticipate the new gondolas alleviating some of the crowds on Disney transportation busses. 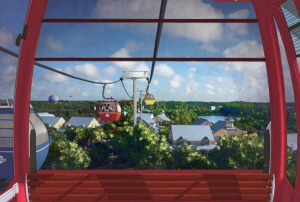 What is also exciting is that the Skyliner Gondolas will run a line between Epcot and Hollywood Studios to make park hopping faster than ever before. This will alleviate some of the boat crowds that you can find on busy days that run between these two theme parks. 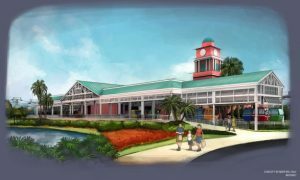 This past week we heard some exciting news from the Walt Disney World Resort! Disney has begun the initial testing phase for its new Disney Skyliner system! This means the Skyliner System may be closer then we all think! 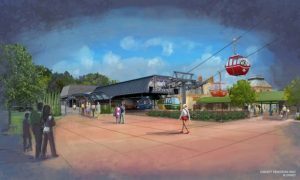 Currently the Skyliner Gondola System is scheduled to open this coming fall. 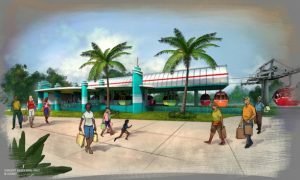 The Skyliner will have stations at four Disney resort hotels including, Disney’s Art of Animation Resort, Disney’s Pop Century Resort, Disney’s Caribbean Beach Resort and the brand-new Disney’s Riviera Resort which is set to open in December 2019. I have enjoyed watching the Skyliner’s construction progress over this past year during my visits to Walt Disney World. The stations such as the one at Epcot’s International Gateway and Disney’s Hollywood Studios seem to almost be complete! Both of these stations are perfectly themed to their location! Many of the gondolas will be adorned with beloved Disney characters! There is a large variety of characters you can get. This adds such a great layer of fun to your ride experience! I can’t wait to see what they all look like in person! 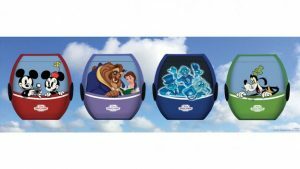 The fact that gondola cars have been spotted being tested on the Skyliner lines makes it very real that this new form of Disney transportation will be here before we know it! I am so excited! I am heading to Disney World next week and will be keeping an eye out for any gondola sightings! One thing is certain this coming fall will be a very exciting time for new things coming to Walt Disney World! Contact your Kingdom Magic Vacations Travel Planner today to book your next magical adventure! This entry was posted in Disney Attractions, Disney News, Disney Parks, Disney Resorts, Disney Transportation, Disney Vacation, Epcot, Hollywood Studios, Walt Disney World, Walt Disney World Resort - Orlando and tagged caribbean beach resort, disney, disney skyliner, disney transportation, disney world, Disney's Art of Animation Resort, Disney's Pop Century Resort, Epcot, hollywood studios, skyliner, skyliner gondola system, Walt Disney World on February 1, 2019 by Megan Przychodzien. Date Night Ideas at the Universal Orlando Resort! Opening Dates Announced for Star Wars: Galaxy’s Edge at Disney World & Disneyland!